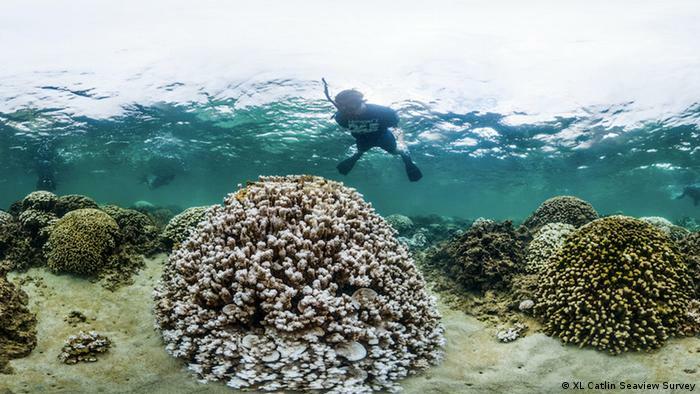 The World Conservation Congress – the largest environment decision-making forum – is taking place in Hawaii. Ocean and climate change are high on the agenda. UN advisor Susan Avery tells DW why the two go together. Deutsche Welle: How do the ocean and the atmosphere relate to each other with regard to climate? 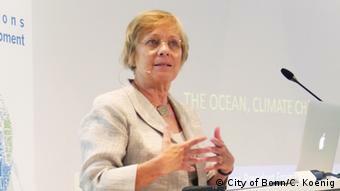 Susan Avery: In our planetary system we have two major fluids, the ocean and the atmosphere. Think of them as two dance partners. In order to get a choreographic dance, they have to talk to each other through the “ocean-atmosphere interface” – which is wave motion, spray and all the other things that help them communicate. The two create different dances: an El Nino dance, a hurricane dance. In reality what they do together is transport heat, carbon and water, which are the major global cycles in our planetary system. So wherever we live on the planet, the oceans play a key role in weather and climate? Absolutely. They are critical in describing the entire climate system. And when you only talk about climate in terms of a surface atmospheric temperature, you are missing the complexity and richness of the ocean atmosphere role in the climate system. Hurricane forecasts, for example, have to include the heat and energy input from the upper ocean. That helps fuel the hurricane and determine how intense it is and how long it will last, and numerical models must include atmosphere and ocean. That’s why it’s so important that you have observations not only of the atmosphere but also of the ocean to put into the models. 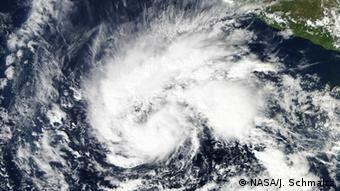 The ocean influences storms like this one, which became hurricane Sandra. Alongside natural cycles and fluctuations, we humans have also been interfering with these patterns? That’s fair to say. When you take it to the climate scale, we talk a lot about the temperature of the atmosphere: increases associated with the infusion of carbon, which is human produced. The thing is that the extra carbon dioxide that gets released into the atmosphere through our fossil fuels and deforestation is also associated with extra heat. Of the carbon dioxide we release into the atmosphere, half will stay in the atmosphere, 25% will go into the ocean, 25% will be taken up by the land. But if you look at the heating, 93% of the extra warming is actually in the ocean. There are only very small amounts in the atmosphere. So our seas are able to absorb a massive amount of heat? Yes. The atmosphere is a gas, the ocean is a mass of liquid, which covers two thirds of our planet. It has a huge capacity to store heat, but that heat doesn’t just stay at the surface. When you only talk about heat and temperatures at the surface, you’re ignoring what’s happening below the surface in the ocean, and once the ocean gets heated it’s not going to stay there, because there is this fluid motion, and so we’re getting to see greater and greater temperature increases at greater and greater depths. And once that heat gets into the ocean, it can stay there for centuries. Whereas in the upper ocean it might stay 40 or 50 years, when you get into the deeper parts, because of the density and capacity, it stays there for a long time. The carbon dioxide we’ve put into the atmosphere already, and the heating associated with that, means that we’re already pre-destined for a certain amount of global temperature increase. Many people say we have already pre-destined at least one and a half degrees, some will say almost two degrees. That’s why it’s really important to address the warming questions. But the heat is not the only effect. The extra carbon dioxide, when it gets dissolved into the ocean, through various simple chemical equations, will increase the PH or acidification in the ocean. So our coral reef systems and a lot of our ecosystems in the ocean are having a battle with warming. But those ecosystems that involve shell production and reproduction, as in our reef systems, are also battling acidification issues. This is really critical, because it attacks a lot of the base of the food chain for a lot of these eco-systems. How can we make people more aware of these connections? People who don’t live on the coast think the ocean is not affecting them, when really it does. It affects them in many ways. I think we have to articulate what the ocean does, in terms of providing services to you as a human being. Every second breath you take comes from the ocean, so you should thank the ocean just for your ability to breathe. Thank the ocean for helping regulate our climate and rain patterns, thank the ocean for the fish and food supply it provides – and perhaps not over-fish it so much, so you can sustain that wonderful resource. Thank the ocean for filtering a lot of pollution. A little oyster can filter so many toxins out of our water systems. You were the first woman and the first atmospheric scientist to become Director of the Woods Hole Oceanographic Institution. How have issues and priorities changed over the years? I took the helm at a very challenging time, in 2008. Shortly afterwards came the huge economic issues, for the US and eventually other countries. So we had to, as an institution, think of new ways to diversify our funding base, keep excellent science as the foundation, but look at new challenges. One was the creation of a new networked observing system which will provide data in the ocean 24 hours a day, seven days a week, 360 days a year. It was also a period where there were many crises in the ocean that we had to respond to from a scientific point of view: the Deep Water Horizon oil spill, the Fukushima meltdown and injection of radioisotopes into the ocean, the search for Air France 447 that was flying from Brazil to Paris and disappeared into the ocean. That was a real challenge for us in terms of looking at the technologies we have in a different way, solving a different type of problem, and from these crisis moments we learned a lot about our science and our technology, and how to improve it and go forward. Most people don’t realize how difficult it actually is to get into the ocean. Satellites can only give us measurements of the near surface of the ocean, just because of the physics. Among the areas of the earth which are affected most strongly by the warming of our climate are the polar areas. 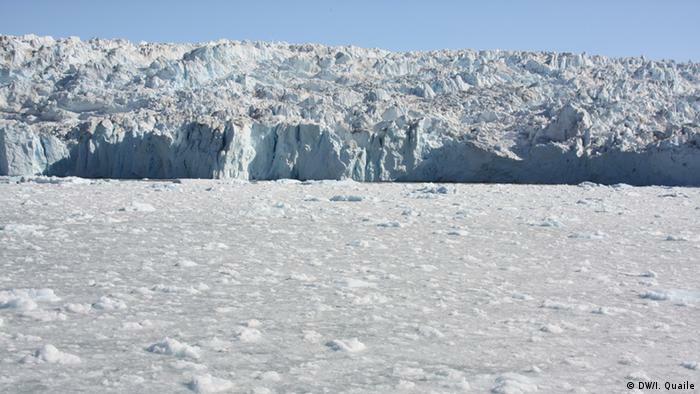 The Arctic Ocean is changing dramatically. We just had a record warm winter, and a low extent of winter sea ice cover, what impact does that have? Countries are making slow progress at ratifying the Paris Climate Agreement. Given that we have already put so much extra CO2 and so much extra heat into the ocean, is there any way we are going to be able to reverse what is happening in the Arctic? I don’t have an answer, to be honest. I think we’re still learning a lot about the Arctic and its interface with lower latitudes, how that water basically changes circulation systems, and on what scale. But I think what’s really critically needed right now, to get a better sense of the evolution of the Arctic and sea level rise, is a real concerted observing network. We know so little, about the Arctic and the life forms underneath the ice. We have the technology. 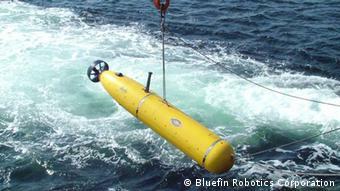 What I really see now is a confluence of new technologies, new analytical approaches, new ways to do ocean science. All it takes is money to really get those robots there, get the genomic studies that you need, and the analysis. If you look ahead to the coming decades, are you concerned about the ocean? I am concerned about the ocean. There are so many stressors. We’ve talked about the climate change issue. Then the pollution issue, whether it comes from fertilizer run off, or pollution from industry, that get transported into the ocean. A lot of our global commerce is shipped via the ocean, our ships are not the cleanest and contribute to ocean pollution. A lot of visibility has gone to the trash we put into the ocean, particularly plastics, the long life plastics have in the ocean. We’re just beginning to understand the science behind the plastic. Trash doesn’t belong in the ocean. We certainly have overfished the ocean, but we are learning a lot that could produce aquaculture, in ways that are sustainable and non-invasive. So there are pluses and minuses. I do think the ocean is under threat. It’s largely ignored in many ways, and we need to draw attention to it not just in terms of little pieces of it. We get so much from it, we want to make sure we sustain that. Atmospheric scientist Susan Avery is President and Director Emeritus of the renowned Woods Hole Oceanographic Institution in the USA. She is also a member of the UN Scientific Advisory Board, which provides advice on science and technology to Secretary-General Ban Ki Moon. The interview was conducted by Irene Quaile during a visit by Dr. Avery to DW in Bonn.